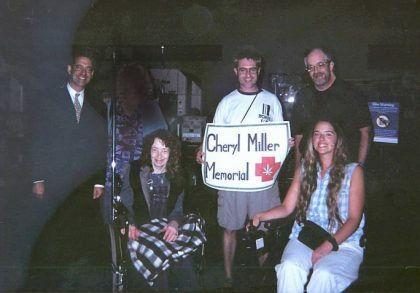 IMMLY was in Washington DC September 21-25 to participate in the Cheryl Miller Memorial Project. Allen St. Pierre of NORML and Wisconsin patients meet U.S. Senator Russ Feingold (D-WI) at the baggage claim at DC National Airport. The senator was on the same flight from Milwaukee. Visit the Project website to view more photos of the events.